This 1962 Hofner Violin bass came in with super high action. 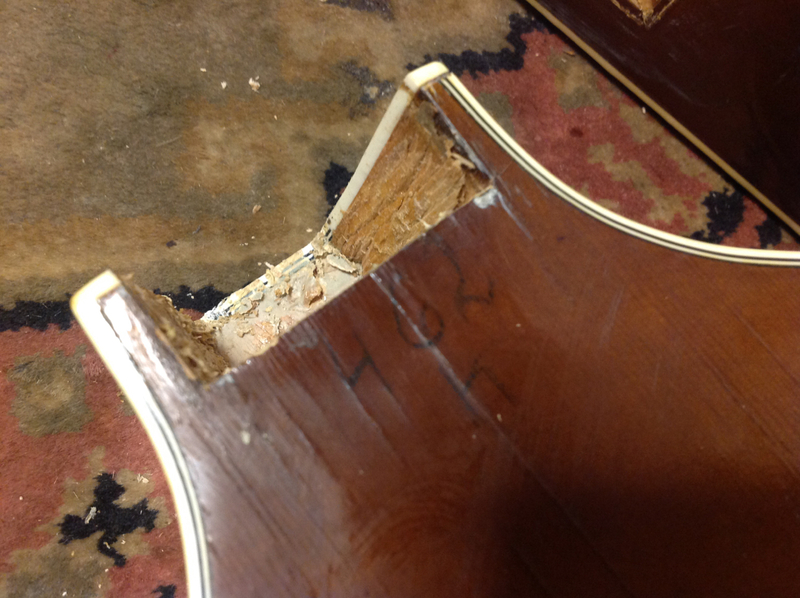 Over it’s 52 years the neck has been pulled out of it’s neck pocket by the tension on the strings. You can see here how the neck is underset. First job is to remove the heal cap with a little bit of heat from a steam iron. 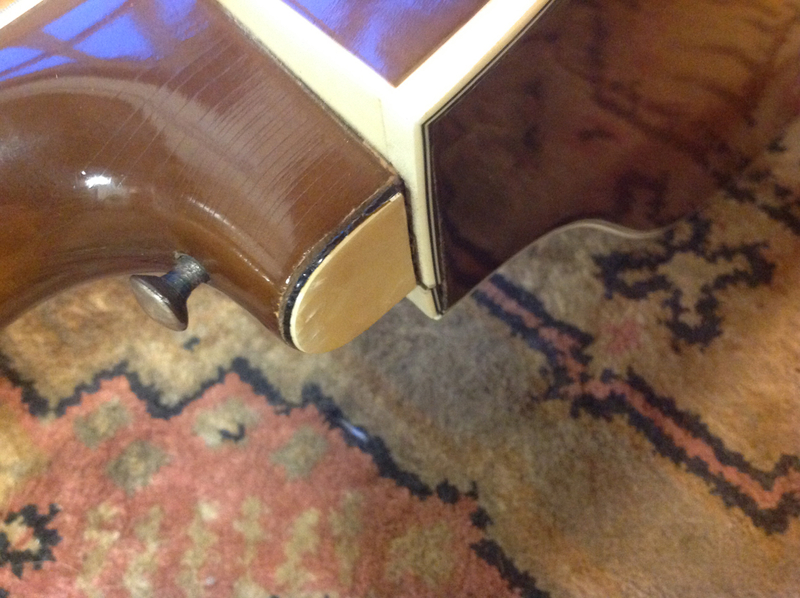 Scoring around the neck pocket to prevent any chips when the neck comes off. To get this neck removed we need to drill some holes into the neck pocket so we can soften the original animal glue with some steam. You can make a needle steamer quite inexpensively using a wallpaper stripper and needle for pumping up a football. 5 minutes later the neck just slides right out. There’s a huge about of all animal glue in the neck pocket that needs cleaning out before re-gluing the neck. hey bud,tried that and it didnt move! This Commitee has too low an action.Kinda thinking its been done before with epoxy and not been positioned correctly? I’d have to see it, but if it’s been badly repaired with epoxy you’ll have to break it off. Nice! But it’s a 1965 violin bass, not a 62.